This episode is a review of a previous show on how to heal painful emotions with author and psychotherapist Ilene Dillon - author of The ABC's of Emotion. This show shares how to tranform anger and other toxic emotions utilizing alternative and holistic healing methods. 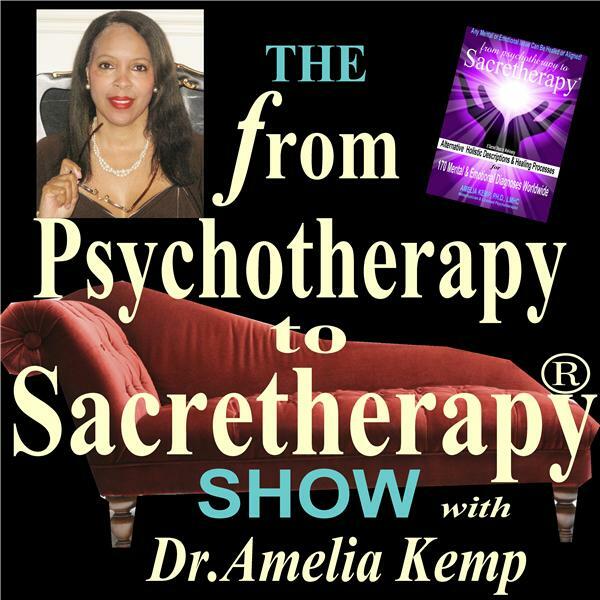 This show is an extension of the book: From Psychotherapy to Sacretherapy® – Alternative Holistic Descriptions & Healing Processes for 170 Mental & Emotional Diagnoses Worldwide, by Amelia Kemp, Ph.D., LMHC – Licensed Psychotherapist and Metaphysician. Listeners may call in questions toll-free to: 1-347-677-0795 or send questions via website to: www.DrAmeliaKemp.com (Click the Radio Show link). Also, please feel free to visit and like us on www.Facebook.com/drameliakemp .